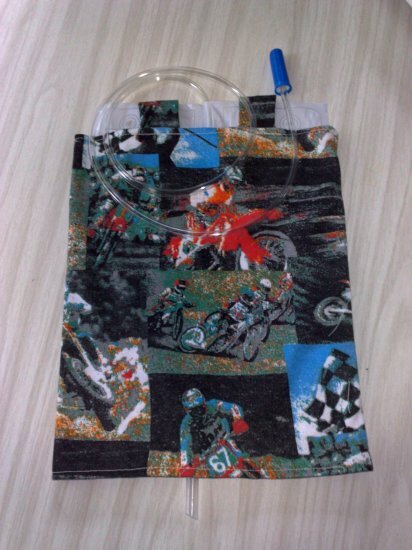 I was asked a couple of weeks ago if I could sew some covers for some male residents at a nursing home. 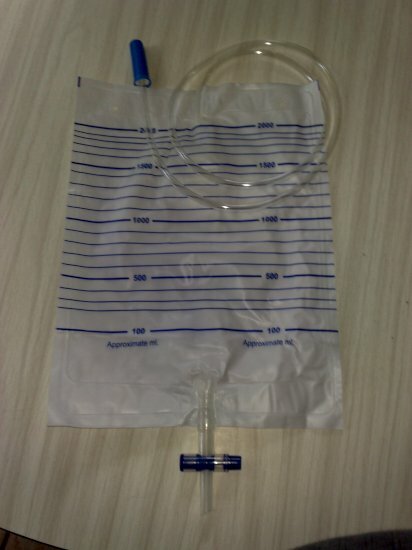 After all who would not want to cover a catheter bag. The ones that strap to your leg are not so bad as they sit under your trousers, but some have the night bag during the day that hangs from 2 hooks. So I took the challenge.Here is the catheter bag that I brought home to use as my model. The two tabs at the top allow room for the hooks. The bottom is left open for easy access to drain the bag and for checking. I made 7 bags today, all the same material so I hope the guys like motorbikes. That's a great idea, and you could use all types of fabric designs.